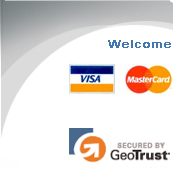 We accept any of the following credit cards: VISA and MasterCard. Payments can be made online at our website. Once we have successfully completed the digitizing and finalised the cost of the design, we will send out an email containing the outstanding balance and payment process. You can then visit our 'Make Payment' page and enter the invoice number and paycode seen in the email. You will then be taken to our online payment gateway, provided by ThaiEpay in cooperation with the Bank of Asia, where you will be able to process your payment. Once we receive confirmation of your payment, we will send out the digitized design. We are committed to working with you until you are completely satisfied with our design.